The Blind Cleaning Experts since 2002. Are your blinds dusty, grimy or full of germs, bugs, pet or smoke odor and contaminants? Ultrasonic blind cleaning will take care of these issues and have your blinds looking like new again. Our expert technicians will make sure you are satisfied with your blind cleaning experience. 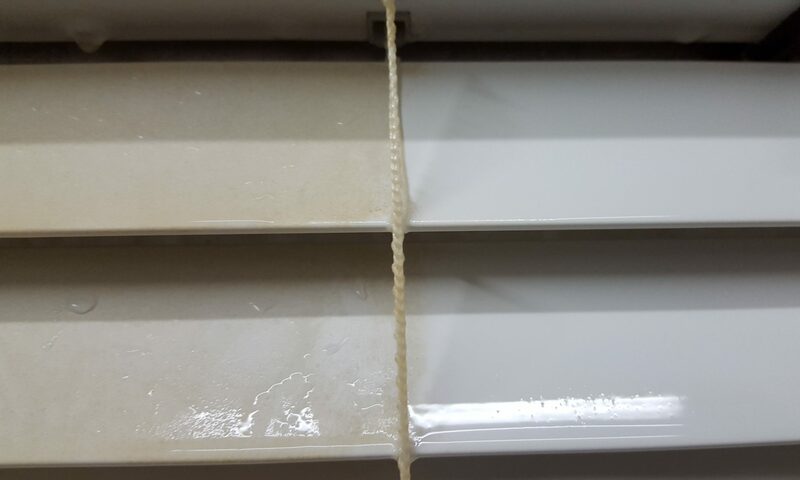 We will take down your blinds, Ultrasonically clean them at our shop and return and rehang them for you with our same day service!! All we do is clean blinds so our people are very knowledgeable and specialized with this service. We will save you thousands of dollars compared to buying new blinds. We only use Environmentally safe, biodegradable cleaners to ensure maximum cleanliness of your blinds in an environmentally safe manner. Use of this technology will dramatically reduce and eliminate germs, pet dander, pollen, dust mites, nicotine and all other allergy contributors. Thus making a healthier home for your family or workplace for your staff. Hunter Douglas, Grabber, Bali, Levolor and all major blind brands. Contact us today for your free quote and join an elite group of satisfied customers. Call us today to experience fast, friendly and efficient service. We clean all types and brands of blinds. Call/text us at 780-498-3650 for a free quote. We Remove, We Clean and We Rehang – All in the Same Day!! Very impressed with blind cleaning. Great job and customer service. I highly recommend them.